Jazzing up a pair of flip flops. 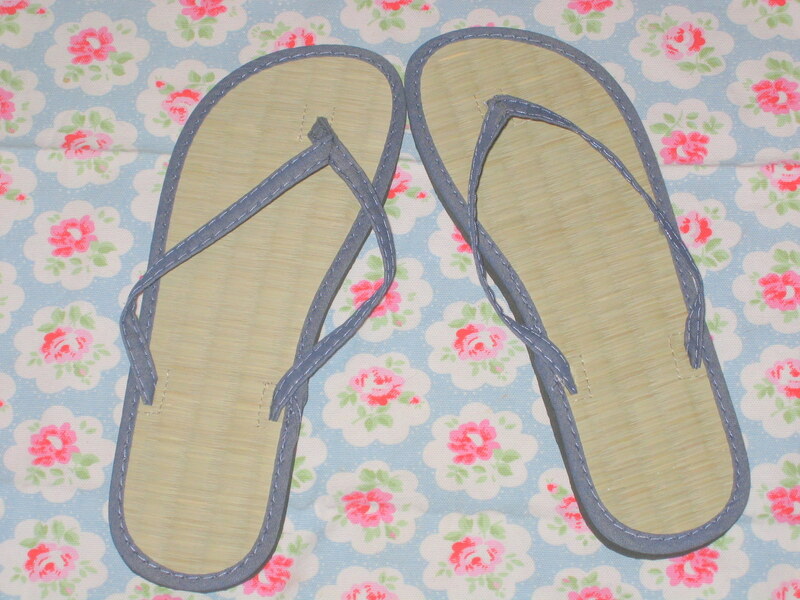 I don’t know about you but when it comes to summer the only thing I want to wear on my feet is a pair of flip flops. I was looking for a couple of pairs to replace my last ones that have sadly died. There were so many lovely ones to choose from but in the end I decided to have some fun and decorate my own. 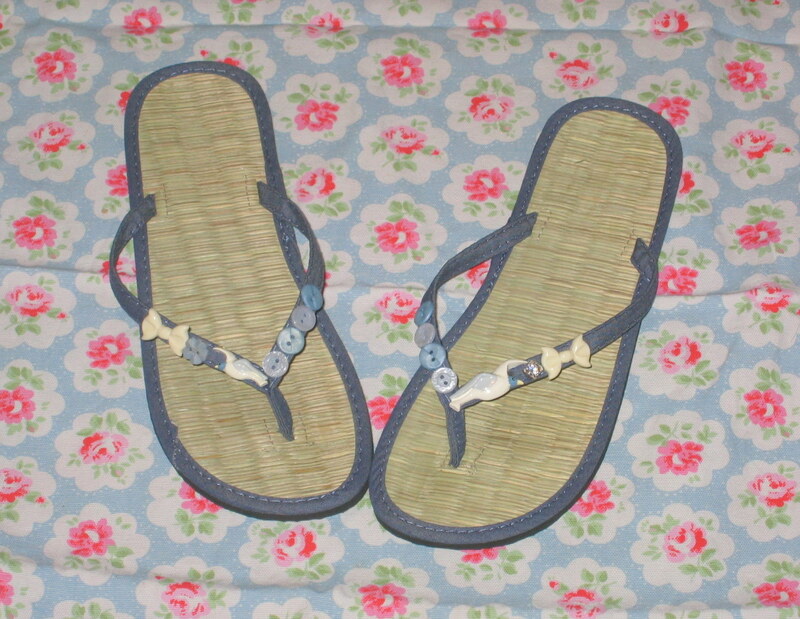 A certain shop that sells beautiful accessories is having a sale on at the moment and I was looking at their flip flops when I realised that I could two pairs of plain ones for the price (well almost the price) of a decorated pair. 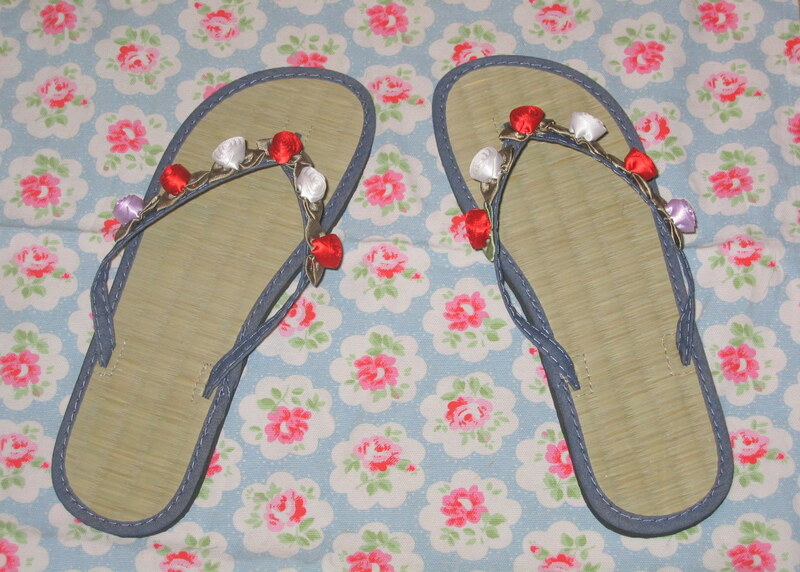 These sweet flip flops are decorated with some ribbon roses. I didn’t bother with trying to sew them on as super glue seems to do the job. They look lovely under Maxi dresses and jeans. I wanted to something completely different with these. I used some broken earrings and necklaces as well as some blue buttons. I really like the seagulls on the front and the way that one side leads into the blue buttons. I’m really pleased with how they have come out. They look great on. I hope I’ve inspired you to have a go yourself. It is very easy. Just find some things you like and super glue them on. The only thing I would say is make sure you are happy with the design before you glue as it is very strong glue!